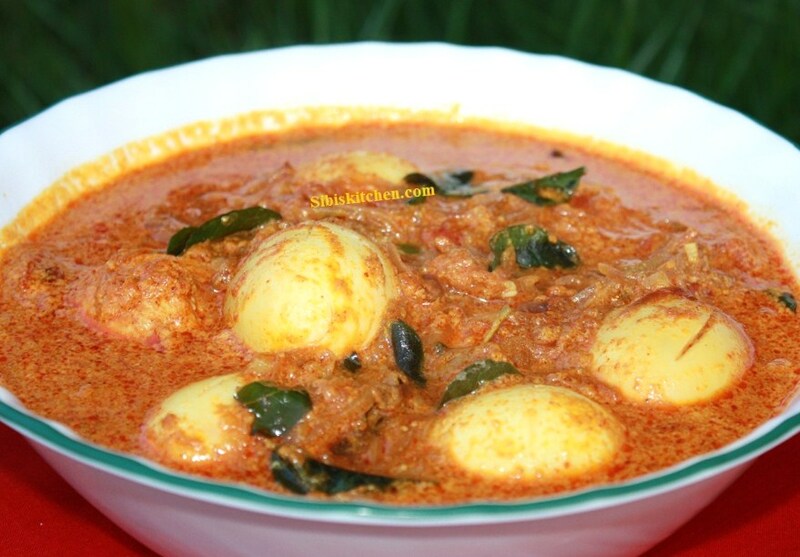 Naadan Mutta curry goes well with vellappam,idiyappam or Kerala parotta. Check out the recipe here. 1) Heat oil in a pan. 2) Add garlic and slit green chillies along with the curry leaves. 3) Add onions and sauté, till translucent. 4) Add turmeric powder, chilli powder and coriander powder and sauté again. 6) Make 4 slits over each egg and add it to the cooked mixture. 7) Cook on low flame for 5 minutes and then add coconut milk. I just want to let you know I really like to read your posts!